In the region of Guilin, in southern China, discover China’s most magical scenery! Known as one of the most beautiful areas in China, in summer the rivers, rice paddy fields and karst peaks are covered in lush greenery. 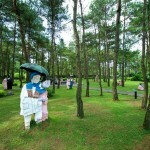 Chinese emperors, painters and poets have all sung the praises of this most enchanting area of China. Click here for a PDF brochure your can download or print. 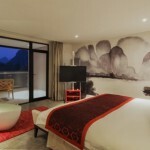 In a majestic and beautifully preserved site, you will find two contemporary style hotels at Club Med Guilin; the Courtyard and the **HOMA (Home of Modern Architecture), both offer a modern style with a restful and warm ambience. 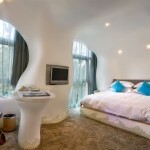 In the HOMA hotel, each room has its own style and is only available to people over the age of 12 years old. 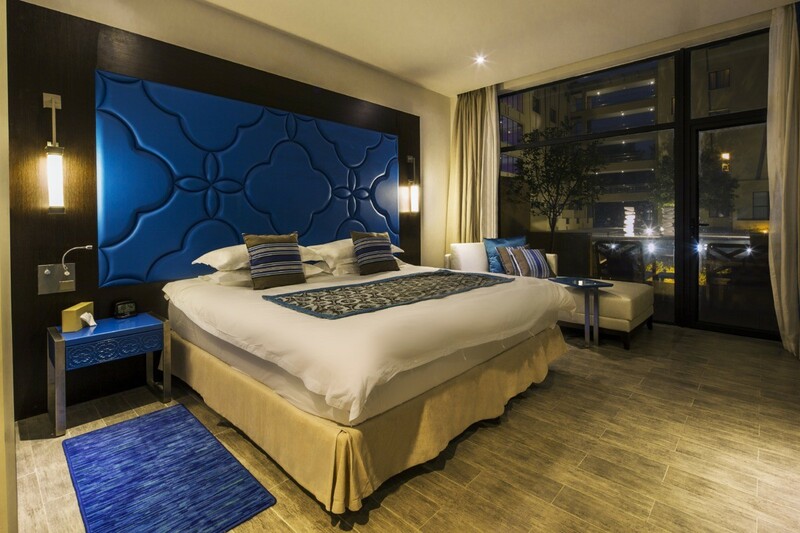 These rooms offer a warm, restful, contemporary décor. The club rooms in HOMA all vary in some way. 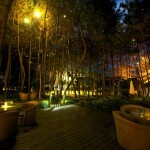 Interconnecting Club Room Courtyard are available however no interconnecting is offered in the HOMA hotel. 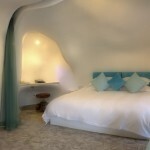 A beautifully light, spacious and comfortable room. 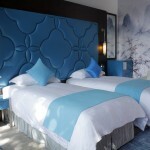 Interconnecting Deluxe Room are available in the Courtyard but no interconnecting deluxe rooms are offered in the HOMA, however they do have several triple share room. A highly elegant Suite for relaxing in luxury, with a range of additional services starting from day one, with a private airport transfer. 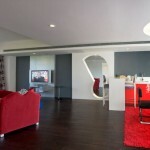 Some suites interconnect with a deluxe balcony room. 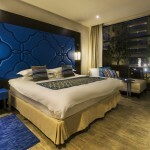 There is a family suite in the HOMA hotel sleeping up to 4 people. ** Please note that during low season 01SEP to 30APR 2015 (winter months) the HOMA accommodation building and some/all associated areas may be closed. 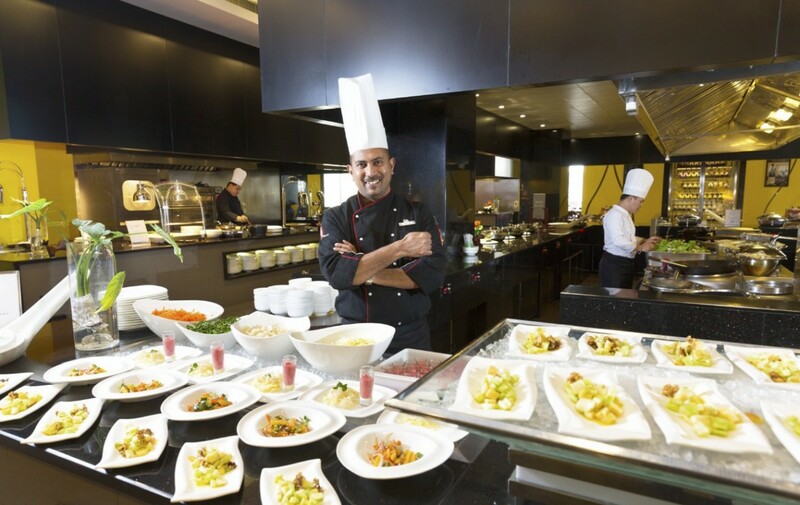 The main air conditioned restaurant, The Atelier International, offers an international buffet every day of the week and regional Chinese dishes: Sichuanese, Cantonese and Hainan, in one of its three pleasant themed dining rooms. Alternatively, you can have lunch in a charming environment on the adjacent terrace with views over the grounds and mountains. The Noodle Bar is located in the Courtyard and offers different noodles from all the regions of China! The Rooftop Restaurant is located on the third floor of the Atelier and offers a traditional Mongolian barbecue. 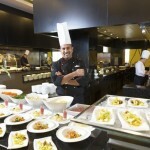 Enjoy a late breakfast, or book at Reception to dine on Mongolian barbecue specialities or Chinese fondue. The view over the sculpture park and the mountains is quite extraordinary! 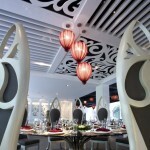 The Lotus, the speciality restaurant, located in a very elegant dining room in the HOMA building offers local Chinese cuisine and serves delicious à la carte western cuisine in the evenings. Bookings required and subject to resort occupancy. Club Med pride themselves on having the most all-inclusive drinks package available. 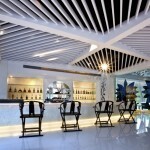 At Club Med Guilin, the bar is truly open for anything you desire from wine, beer, cocktails, soft drinks & juices. At Global Travel Solutions we know this means you can enjoy drinks any time…perhaps by the pool, pre-dinner cocktails and canapés with family and friends or wine & beer with dinner and not have to worry about how many drinks the kids may have signed to the room throughout the day! 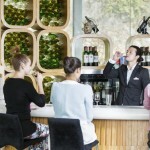 The Moon Bar (formerly the Forest Bar) is located in the HOMA building, has a quiet lounge and a landscaped outdoor balcony and is the ideal place to enjoy an afternoon cup of tea or a glass of fine wine after a wonderful day in the resort. 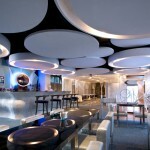 The Atelier Bar, provides friendly atmosphere in the heart of the Resort! 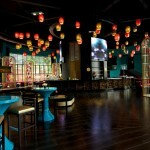 It’s a great place for a game of snooker or Mah-jong or for trying your skill at karaoke! Other forms of entertainment will also be offered in and around this area at certain times of the day and night. The pool bar is located in the main pool and is accessible from the water or by foot and is open during the pool’s opening hours. 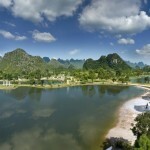 Located in the centre of Club Med Guilin’s Resort in China has the Club’s first natural pool! This pool respects the environment with its natural filter system; it has a swimming area and a regeneration zone where the water is processed by a natural ecosystem of plants. The pool has a wonderful view over the grounds and mountains. You’ll appreciate the quiet outdoor pool for adults. 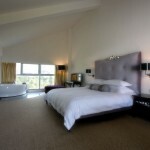 It offers a secluded atmosphere and magnificent views over the lake! Both pools are equipped with deckchairs, sun umbrellas and showers. There is also an indoor pool inside the fitness centre, for adults and children; it provides a great facility for enjoying a relaxing swim during the winter period or after a workout, with magnificent views over the grounds and mountains. A children’s paddling pool is located on the Mini Club Med® premises. This is open for children during the Mini Club opening hours and subject to weather conditions. 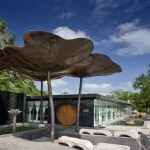 At the Club Med Guilin Spa by COMFORT ZONE* you will be offered a sublime experience for the senses. 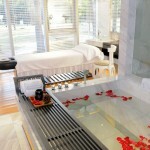 An invitation to relax and experience exactly what holidays are meant to represent! 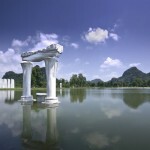 Often the staff at Club Med Guilin, known as “G.O’s” present on stage and at times the entire resort will reflect the theme of the day. In addition there is also Karaoke and once a week, there is a Mini Club Show & the Trapeze show (Little Circus)* – both are real highlights! Often your kids will be involved whether it’s the mini club show or a fashion parade of the clothing available in the boutique, it’s all lots of fun for parents and kids alike! 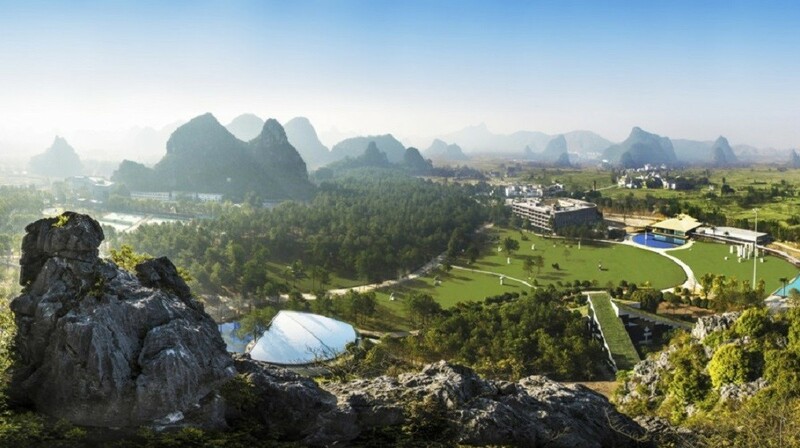 The Club Med Guilin “Sports Academies” offer a wide selection of fun activities such as archery, flying trapeze, golf, cycling/mountain biking and fitness. Beginners and advanced participants alike will be able to enjoy their sport! 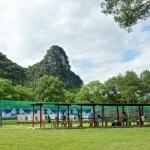 Club Med Guilin Archery Academy – Included in your package! 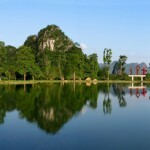 Club Med Guilin Flying Trapeze Academy – Included in your package! 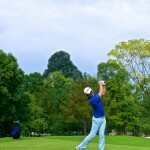 Club Med Guilin Golf Academy – Included in your package! 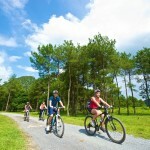 Club Med Guilin Cycling/Mountain biking Academy – Included in your package! 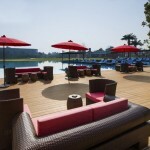 Club Med Guilin Tennis Academy – Included in your package! 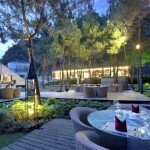 Club Med Guilin resort has 6 hard courts, 2 of which are floodlit. 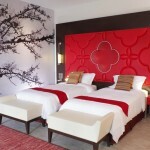 Club Med Guilin Walking and Hiking Academy – Included in your package! Four degrees of difficulty for these mountain walks: green (easy), blue (average difficulty), red and black (difficult). Local guides will help you discover the hidden wealth of the natural environment: animals (including birds) and plants, history and heritage, geology and topography. Themed hikes – day or half day. 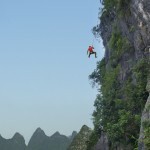 Club Med Guilin Climbing Academy – Included in your package! 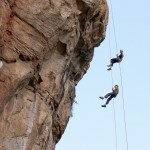 In this magnificent Resort, children and adults can try rock climbing on the region’s famous karst mountains! 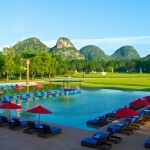 Club Med Guilin Fitness Academy – Included in your package! As a regular activity offered to guests from 16 years old. The Fitness Academy at Guilin focuses mainly on Tai Chi Chuan, meditation and yoga. There is also a fitness programme with aerobics, step and stretching, for beginners only. 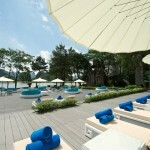 Club Med Guilin also offers beginners group lessons for trampoline, AquaZumba®, Pilates, sailing, paddleboard. 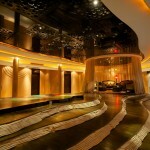 Club Med Guilin has a weights and cardio-training room, ping pong, badminton, basketball, volleyball, trampoline. Explore new cultures, open up to new worlds. 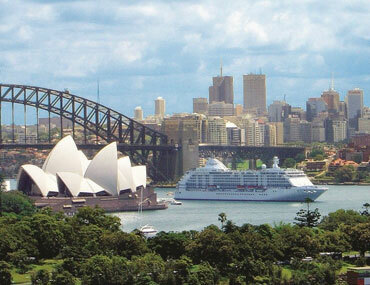 Each Resort is a starting point from which to explore the wonderful sights each country has to offer. 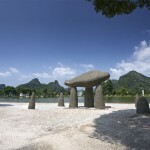 Here is a sample of the tours offered by Club Med Guilin. 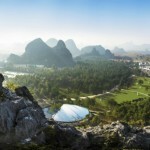 Discover Guilin (1/2 Day) – Discover incredible scenery from Mount Yao. Take the cable car up and come down in a bobsled, before discovering different kinds of tea. 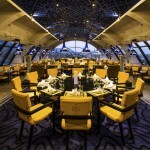 After dinner, a magical cruise takes you over the four lakes that surround Guilin. Impressions of Sanjie Liu – This grandiose show expresses the beautiful scenery of the River Li and its floodlit mountains. Over 600 actors from the Yangshuo region recount the history of Sanjie Liu. Please note: the show may be cancelled in the case of bad weather. Magical landscapes (1/2 day) – For photography lovers, these are unique landscapes: stop on the way to get some incredible images of this magnificent region. After a walk of around 20 minutes, you’ll discover a staggering view over the River Li and the surrounding hills. 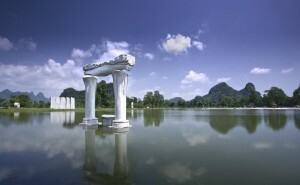 Majestic River Li (1/2 day) – On this recommended excursion, you set off on a remarkable journey, where nature is Queen. An exclusive cruise through the majestic scenery of the River Li, ranked by National Geographic as one of the 10 most beautiful landscapes in the world. 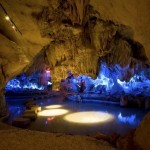 After the cruise, discover the “Crown Cave”. River Yulong (full day) – An incredible ride along the River Yulong on bamboo rafts. The crystal clear water, karstic hills covered with lush vegetation and ancient bridges make for some fabulous views. 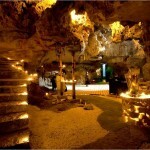 You’ll lunch in a restaurant where you can try the local speciality: fish cooked in beer, before visiting the famous “Silver Cave” with its huge stalactites and stalagmites. 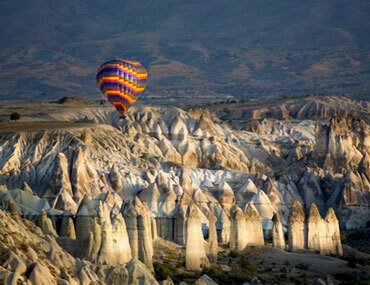 There are other excursions offered. These are subject to change and there is an applicable charge. 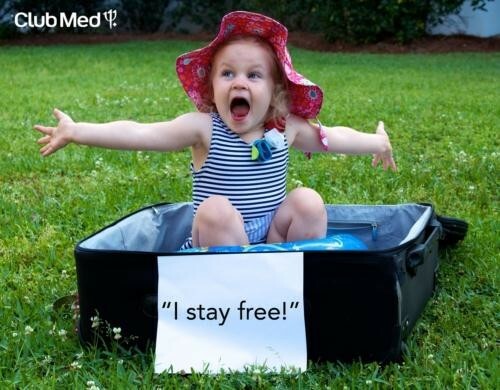 Global Travel Solutions understands that family holidays are all about spending time together but on a Club Med holiday you can also devote some time to yourself. 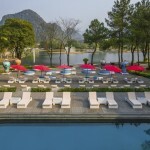 As parents or grandparents, you can enjoy a peaceful and relaxing holiday while your family enjoy all the activities Club Med Guilin has to offer and the children and teenagers have fun in the children’s/teen’s clubs and afterwards the whole family can come together for some truly unforgettable moments. Club Med has over 40 years’ experience specialising in providing fabulous family holidays! Sports activities: archery, table tennis, mountain biking, trampoline, flying trapeze, volleyball, rock climbing. Teenagers are the responsibility of their G.O®s only for the duration of the activities organised specifically for them. 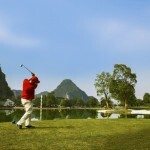 The Juniors Club Med is offered all year round at Club Med Guilin. 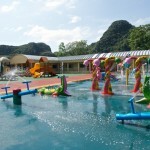 Club Med Guilin have done everything in our power to ensure the comfort and well-being of babies and parents. Personal welcome, baby-care material available in your room and/or in the baby feeding and equipment room (cot, changing mat, baby bath, high chair on request, bottle-warmer), sweet and savoury baby foods, baby corner equipped to prepare babies’ meals, high chairs and/or booster cushions in the restaurant. Spare strollers are also available if required. The children learn new tastes through cookery lessons. Activity proposed at Mini Club Med®. 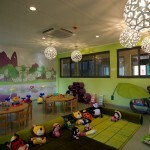 The Pyjama Club® at Club Med Guilin is a group babysitting service (no specific activities). It enables parents to leave their children with a team of experienced and qualified G.O®s in a dedicated area with all the necessary comforts (beds, couches, video area, etc). 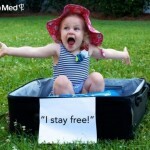 To enjoy a moment of total freedom, take advantage of the babysitting service. 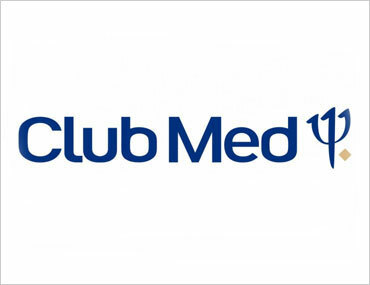 For information: Club Med Guilin provide a list of babysitting services on request, however they take no responsibility for the service provided.